Progressive Copyright: Part II – Whose Content Is It? So in part one of this three part series I wrote about how the commercial lifetime of content is shorter than ever before (awesome). Now lets look at the equivalent bummer on the consumer side; How content delivery formats are obsolete faster than ever. This shouldn’t come as a surprise to anyone. Just look at recent history, the venerable VHS format had nearly a thirty year run before being deposed by the “next best thing” (to say nothing of vinyl records eight decade run as king-of-the-hill for audiophiles). DVD, on the other hand (while still going strong) is less than ten years old as a widespread commercial format. Poor old UMD barely lasted three years (as a movie format, I know it’s still hanging on, sort of, as a software format). Then we look to a myriad of digital codecs and wrappers all of which are constantly evolving. Heck even a set standard like “high definition television” can barely go a few years without changing (from >480i to 720p, to 1080i, to 1080p, to 2k, to 4k…). All of this is to say that if I ever dug out my old Iomega Zip Drive and got it running (and could find a compatible computer with a SCSI port to connect it to, and an operating system that would recognize it) I’d STILL have a hard time finding a player to handle whatever variety of RealMedia was popular ten years ago. Consumers have been very well served for years by the provisions in various copyright legislations that allow for making “backups for personal use” (or similar) of works they have legally purchased. While these clauses were initially put in because of the unreliability of new media formats (early tape-based media was really unreliable – they’d snap all the time, so you better make sure you made a dub of your wedding before you sit down to watch your irreplaceable cassette) they instead came to serve as proxies for protecting consumer interest in maintaining the ability to view and transfer legally purchased media. So what would a truly progressive copyright legislation do to address this? 2. Enshrine the consumers right to transfer their interest in a work they have legally purchased to any format they choose (and are able) to. This isn’t just semantics. The “Holy Grail” for many (short sighted) content producers is to sell consumers the same product as many times as possible (hey someone bought the Beatles on LP, 8-track, cassette, MD, CD, DVD 5.1, DVD 7.1, and Beatles: Rock Band…) but this is leading us to a very scary tipping point. As I wrote, extensively in relation to bill C-61 limiting private, non-commercial usages of legally-purchased works enhances the power of the distributors and decreases the power of the content producers. This creates a situation that encourages platforms to be more closed, creators to have far less say in how their work is distributed, and the majority of the profit goes to the gatekeepers who control access to audiences, not the actual copyright holder. Plus this type of ecosystem would encourage the creation of formats, devices, and platforms that are similarly closed and controlled, because – hey – big bucks to be had. The prime example I usually give to explain this point is that I can, currently, sell a DVD on my website and know that it’s going to be appealing to people with DVD players, computers, iPods, PSP’s, those cool Archos player-things… in short a huge percentage of the potential video-watching market. If audiences are restricted to only view content on the format that I deliver it to them (DVD players), I now have to negotiate a litany of deals with a number of distributors if I want to reach a similar audience (except each of those gatekeepers will want a significant cut of revenue for the privilege of access to “their” audiences). As a content producer, I’m profoundly unconformable with the latter scenario. I don’t want to <em>have</em> to do a deal with Microsoft to sell a video to someone with an XBox. I don’t want to have iTunes being the only allowable source of media for iPods. If future platforms close for consumers, they close for creators as well – likely permanently because there’s little interest in platform owners for doing “one-off” deals (talk to any band that’s ever tried to get a <em>single </em> album on iTunes directly – they have to go through aggregators who cut bulk deals – and take an additional profit share). By the same token this is brutal environment for customers. Why should I buy *anything* when it’s likely the format or platform is going to be obsolete within a few years? When the PlayStation4 comes out, what happens to my “Rock Band” music? While buying a DVD of a movie doesn’t give me the right to do whatever I want with it, is it unreasonable to think I should be able to privately watch that movie a few years later? And is it unreasonable to think that I might have to port that movie into a different format or platform than the one I originally purchased it for in order to do so? So for truly progressive copyright legislation let’s actually call a spade a spade and put that in the law. No more arguing if ripping a DVD to an iPhone constitutes “making a backup” – go ahead and make sure the consumer right to migrate their data is clear. That may mean allowing circumventing copyright protection, provided that the intent isn’t to infringe. I know producers cringe at that but they’re not seeing the real boogeyman on the other side, which is that every controlled platform is one they can’t easily access. Without this protection “buying” legitimate product becomes, essentially, a longer-term rental – and far less desirable to consumers, creating a chilling effect on all legitimate media sales. By the same token, allowing users the right to port their content encourages platform and device makers to embrace that portability. What are you going to buy – a future media player to which you can easily import your existing songs and movies, or one where you’ll have to re-buy everything in some weird proprietary format that probably won’t be around a year from now? Open formats also encourage legitimate purchases as an investment in a library that has more than a shelf-life of a few months or years. This is a win/win for both content creators and content audiences – and ensures that both have can benefit as platforms, formats, and delivery mechanisms continue to evolve at a breakneck pace. Sounds progressive to me. I’ve been staying out of most of the hubub surrounding the government’s copyright consultation partly because I’m trying to save energy for looking at actual proposed legislation (which is where the battle-lines will really matter), and partly because I’ve been busy. It’s not that I don’t appreciate the veneer of “public consultation” by the government in this go round… I’m just very, very, cynical given the last two attempts (to be fair, by two entirely different parties). However, I do think it’s important for all Canadian’s to discuss what their ideal copyright approach looks like… and it does say “copyright” up there in the header so I’d be a hypocrite not to at least lay out some initial thoughts as we start this, likely, long process. While I certainly have lots of thoughts about policy minutia (to WIPO, or not to WIPO… notice and notice vs. notice and takedown… etc) I think what I’d really want to focus on is the broad-strokes of three areas where copyright legislation could actually be “progressive”, and almost certainly won’t be. And this week I’ll look at each of them in turn. First off, the standard disclaimer (which everyone ignored in the C-61 flamewars): I make the majority of my living from the exploitation of copyright works. Something north of 80%. And I spend most of my free time creating copyrighted works. I enjoy selling copyrighted works for money. Lots of money. It’s not that I don’t enjoy being repeatedly called a piracy apologist, or whatever, but the fact that I’m entirely dependant on strong, enforceable, copyright to buy groceries isn’t exactly a big secret. Yeah, I know this one isn’t going to make me many friends with the brotherhood of producers and distributors, but the dirty little secret of the industry is that in the vast majority of cases the exploitable commercial life of content is far shorter now than it has ever been. Back when the groundwork for this magical concept of “copyright” was laid out, it took a long time to fully exploit a work. If you were an author, publishing a book globally could often take your lifetime (and beyond) as it involved negotiating deals with a litany of companies that controlled very small geographic territories. Film was no different – producers literally used to be able to throw a single print of their film in the trunk of a car and drive it from territory to territory showing their film at each in turn (heck even producers as recent as Uwe Boll and Warren Miller started this way). Once a country was tapped out, you could then go to the next country, and the next, and then rental video sales, and then home video sales, and finally television and library sales. It was a long process. A digression – this is also why so many industries still have such archaic region controls. I remember visiting England in 1995 or so and the amount of films that were out in the UK, but not Canada was mind-boggling. 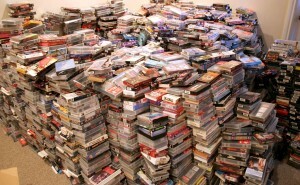 I would have spent a small fortune on movies, if it were not for the pesky PAL format (which begat region-coded DVD’s). The new reality however is that theatrical releases are often (close to) simultaneous. Non-US distributors often want to benefit from the massive PR machines of the US studios, and therefore want to release films as close to their US openings as possible. Similarly home video and television licensees also now want to get product to market as close to the theatrical window as possible. The constant influx of new movies and the move to “event” cinema (you don’t go “to the movies” you go “to see movie X”) means films are staying in theatres for shorter times (runs of five MONTHS or longer were possible in the 40s and 50s when popular films would play in a limited number of movie houses – currently there isn’t a single film in the top 10 box office who have been running for more than 5 weeks… and almost all films with more than a 15 week run are IMAX or 3D films which are the exception which proves the rule as there are so few of them, comparitively). Even “library” sales (bulk distributor sales for things like discount DVD, Hulu, on-demand video, iTunes catalog titles…) are a fraction of what they once were, even if the overall sector is growing. Just to make up some numbers – If iTunes doubles the number of available movies – and profit increases 25% – each movie is making 40% less. And unless you have an infinite number of movies, the trend will just continue. Now add in there isn’t just more movies available on-line, but also on television, on pay-per-view, at retail, on specialty websites and the trend just gets worse. The “pervasive” video library (all films an individual consumer has access to, through all channels, in all media) is exponentially larger now than 10 years ago, and therefore the overall value of each has substantially decreased. This is kind of a “reverse long tail” situation. Certain, niche, works have much more access to audience than ever before, but the corrolary to that is an overall decrease in value of all individual films. The more titles available in *any* media in perpituity, the less likely you are to make any noticeable revenue off them. So if you combine all of this into one package, you’re left with the result that the “commercial lifetime” of a creative work (and I have no reason to beleive that literature, music, and computer software don’t follow the same overall trends – if not the specific waypoints) is shorter than it’s ever been… and yet copyright terms continue to be lengthened as a nod to “progressiveness”. The fact remains that lengthy copyright terms are in the best interests of a very small number of copyrighted works – the Disney’s, and “Harry Potters” and “Lord of the Rings” of the world – while for the vast, vast majority of copyrighted works the commercial potential of them are very short (there are, obviously exceptions – early works of artists who later gain notoriety are a prime exception, such as visual artists (painters, sculptors) – but in these cases there is also often physical scarcity of their works). The unintended consequence of continually lengthening copyright is, of course, that works never enter the public domain. I’ve written before that a huge percentage of our cultural heritage (particularly film, radio, and television) are rotting away in storage because no one wants to take the risk of refurbishing them only to have “submarine” copyright holders surface. This has been especially troubling in the case of film restoration and archiving in the US. It’s also ironic that as, culturally, we create more (and more interesting) ways to “mash up” and re-purpose existing media works, we’re making it harder to access the raw materials to do so (I’m going to talk about this a lot more in Part 3 of this series). A truly progressive response to this global situation would actually be quite easy: Drastically reduce the standard period of copyright (I don’t think 15 years from date of release is out of line personally), but make copyright constantly renewable in 5 year increments thereafter for a nominal charge. In this way the valuable, corporate, properties such as Mikey Mouse, who still have exploitable value, can be protected (heck extend copyright indefinitely if the owner is willing to keep paying the renewal) while the vast majority of works enter the public domain much sooner than they otherwise would when they are, by all likelyhood, exploitable. The huge growth of voluntary copyright licensing schemes such as Creative Commons shows that the creative sector can be educated in the value of voluntarily relaxing their copyright interest in the project (for both their good, and the broader public interest) so why not mirror that same growing principle in legislation? Now THAT would be progressive.